One trend that’s sticking around (har, har) in the crafting world is tape. Washi tape, a paper tape from Japan, is popular and comes in various patterns and colors. It can be easily repositioned and is versatile. Put it on paper, wrap it around an embellishment, use it on gift packaging … there are endless possibilities! I have tape from Japan, but it’s not washi. It’s a shiny tape with a black-and-white pattern, and I haven’t used it since I bought it about a year and a half ago. It was time to break it out. 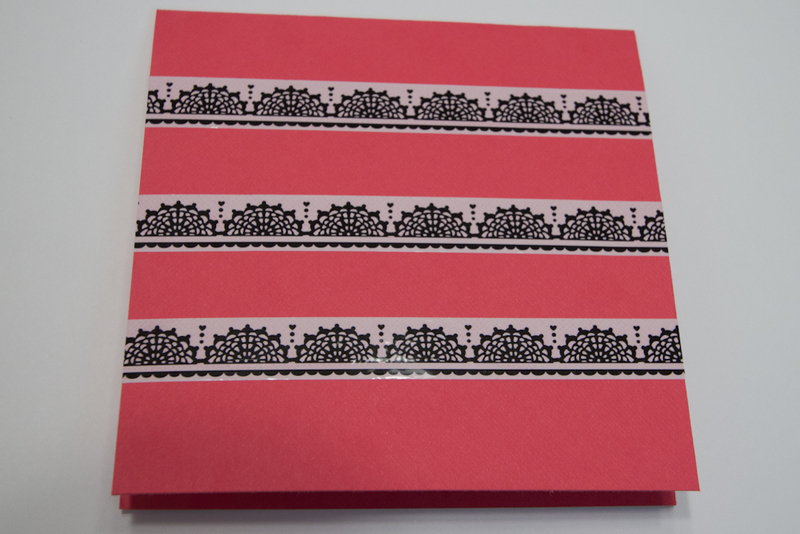 Make a card from a 5-by-10-inch pieces of hot-pink textured cardstock. 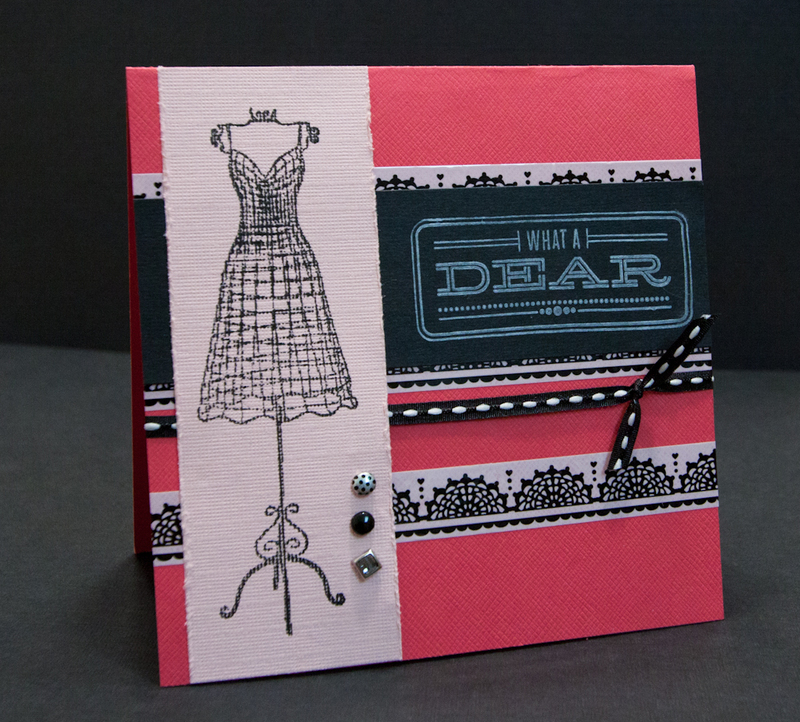 Make small pencil marks at 1 1/4 inches, 2 1/2 inches and 3 3/4 inches on the left and right edges on the card’s front. 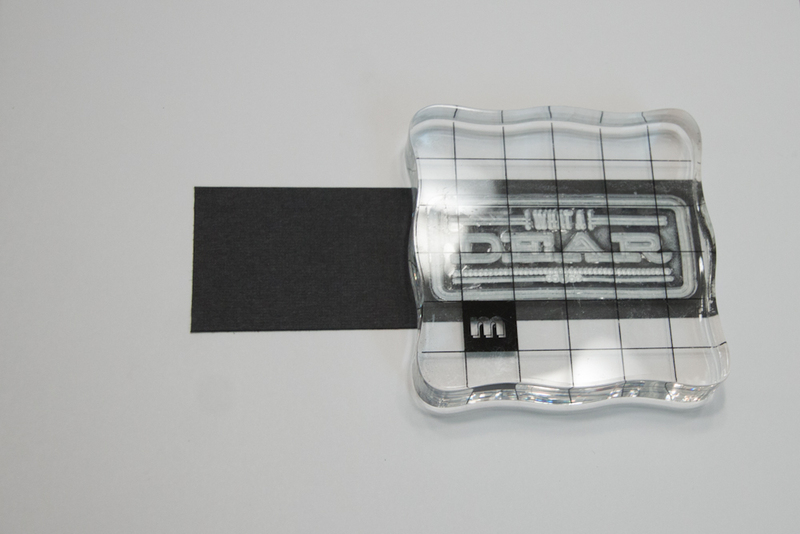 Adhere three pieces of black-and-white tape horizontally to the card, centering the tape over the marks. Trim the excess tape. Cut a 1 1/2-by-5-inch piece of black cardstock. Stamp a sentiment (I used “what a dear” from the Hello There collection by American Crafts) in white ink (such as Color Box Cat’s Eye Queue classic pigment ink in frost white) on the right end of the black paper. 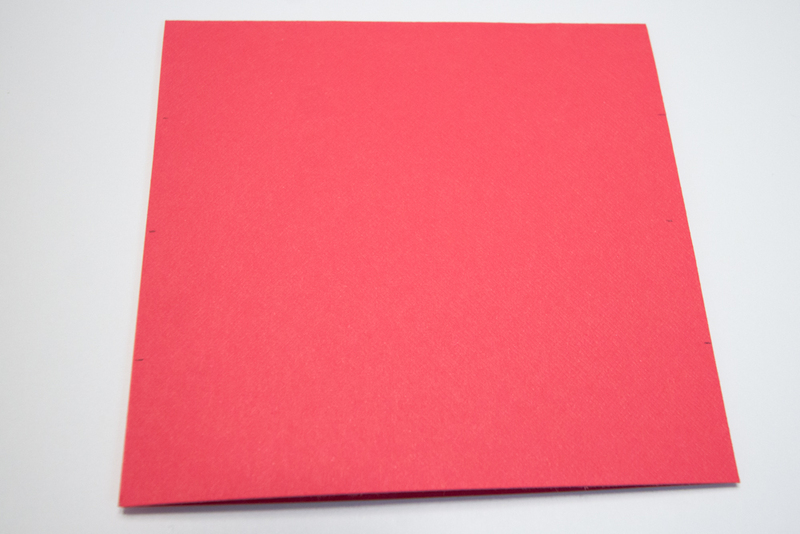 Cut a 5-by-1 3/4-inch piece of light-pink textured cardstock. 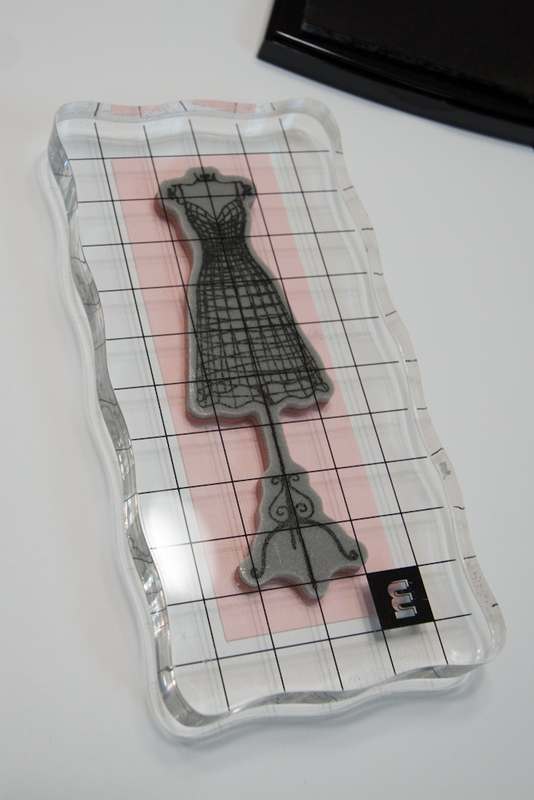 Stamp a dress-form image (mine is from the Vintage Threads collection by TPC Studio ANW Crestwood) in black ink (I used Versafine in onyx black) in the middle of the light-pink cardstock. Distress the left and right edges. 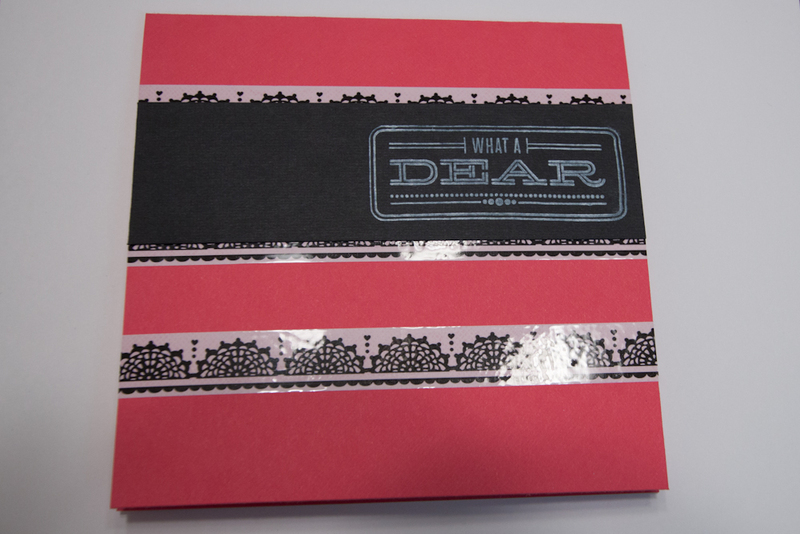 Adhere the black cardstock to the card front, placing it between the top and middle pieces of tape. Tie a piece of black-and-white ribbon around the card’s front, just below the middle piece of tape. Attach three metal brads (I used black, dotted and gray jewel-like brads) to the lower-right side of the light-pink cardstock, and adhere it close to the card’s left edge. This entry was posted in Uncategorized and tagged trends. Bookmark the permalink.